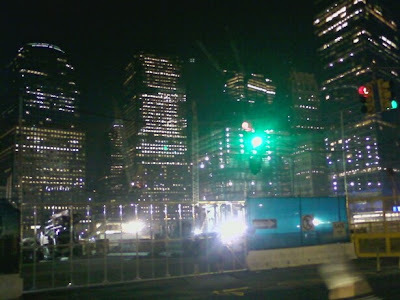 President Obama is in NYC for a couple of Democratic fundraisers. Justin Timberlake and Woody Harrelson are filming "Friends With Benefits" in Battery Park. 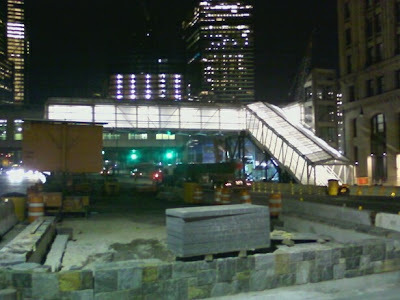 But the biggest buzz in the Big Apple is at the World Trade Center site. 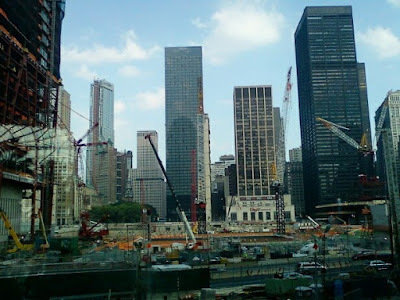 Since 9/11 the WTC site has been a national eyesore -- a symbol of our misplaced priorities, political paralysis and inability to move on after that tragic day in American history. The Mets, Yankees, Giants and Jets all received shiny new stadiums while Ground Zero sadly remained a graveyard. Many people wondered why we could build gleaming new sports stadiums but couldn't quickly rebuild Ground Zero. 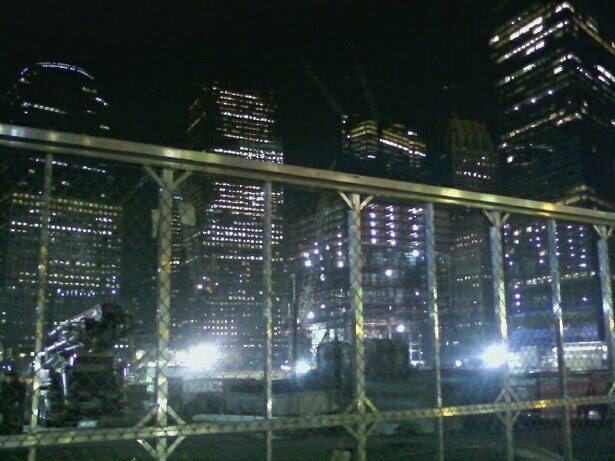 Well, I am happy to report that excitement is building at Ground Zero. 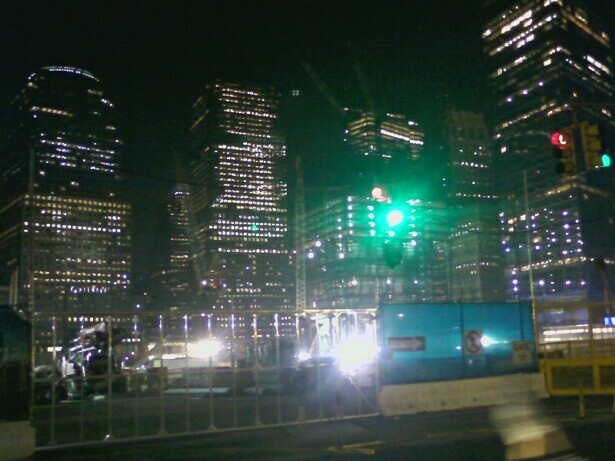 The place is a beehive of activity as the pace of construction speeds up and new structures such as the Freedom Tower and 9/11 Museum and Memorial arise from the ashes of the worst terrorist attack on American soil. 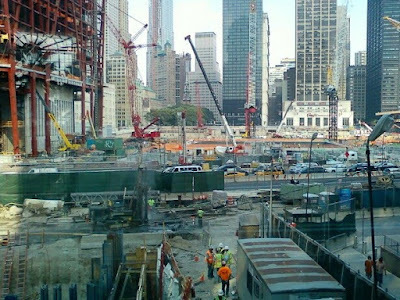 Personally I wasn't prepared for the emotional impact of finally seeing the new WTC site taking shape -- especially after so many years of visiting the area and seeing little progress. While the sense of unimaginable suffering and loss is still palpable around Ground Zero, there is a new feeling of optimism and hope that we can and will rebuild not only the physical space but also the thousands of shattered lives that were forever altered on that fateful day in New York City. 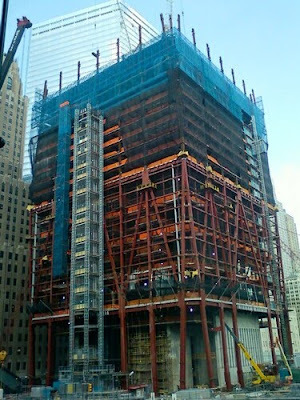 Below are video and pictures I took yesterday of the amazing progress at Ground Zero.